The black undermount kitchen sinks offered by MR Direct are in the form of composite sinks. This style of sink is known by several names including quartz, synthetic, and composite granite. 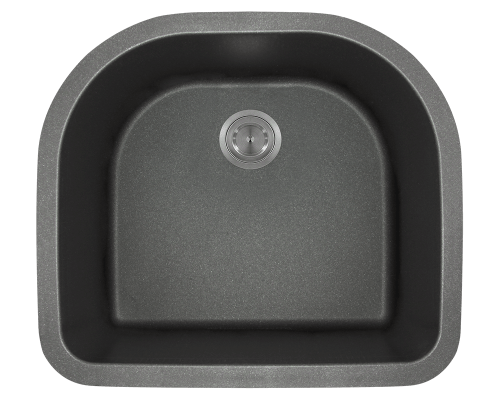 The MR Direct black undermount quartz sinks are branded as TruGranite. 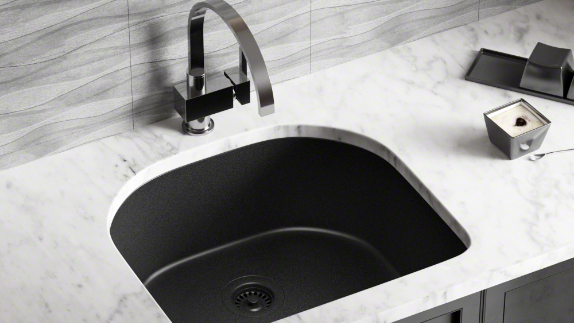 Black undermount TruGranite sinks are constructed from a blend of 80% quartz and 20% acrylic. 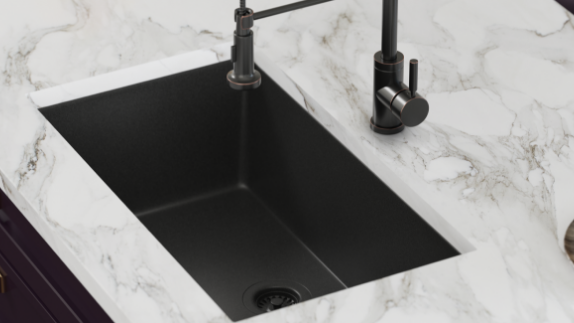 As a black under-the-counter kitchen sink, our TruGranite sinks are designed to be installed below the counter with a positive, negative, or flush reveal. 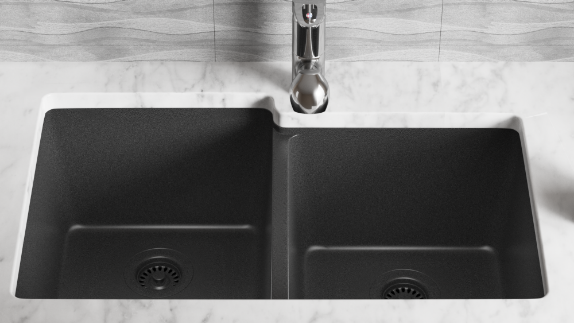 Each MR Direct black undermount composite sink has a completely level bottom and straight sides. 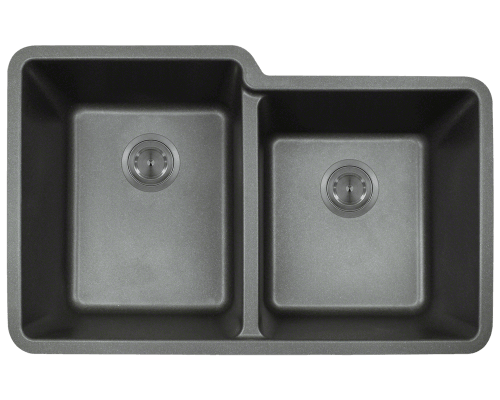 These options add to its contemporary appeal as well as its ability to function as a composite utility sink. 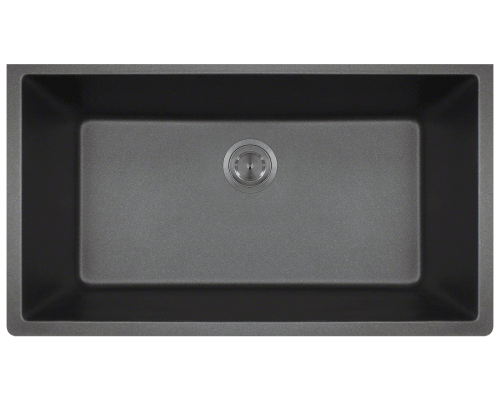 Our black quartz undermount sinks are available in seven unique formats. 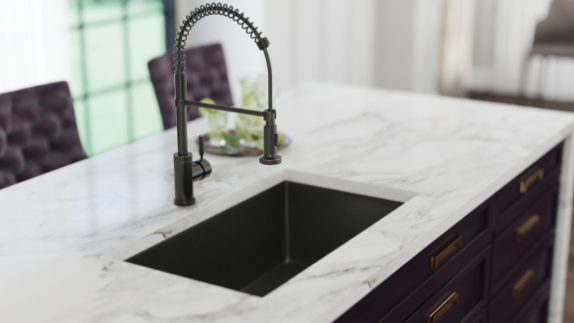 You can choose between black single bowl sinks, black double-bowl sinks, and even black D-shape sinks in multiple designs. 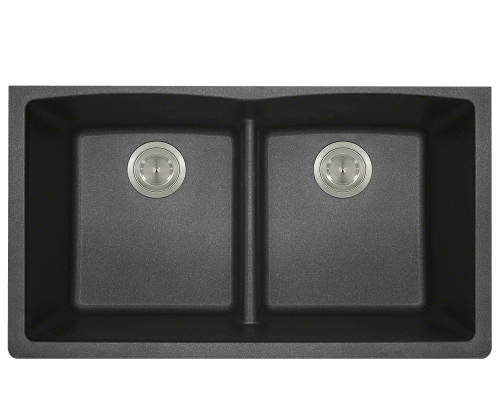 Black composite sinks are an attractive addition to any kitchen.